Joel Palatnik is a Wealth Advisor who assists individuals, families, business owners, and non-profits (including endowments and foundations) in defining and designing a financial roadmap in pursuit of their objectives, needs, and expectations. In addition to advising internationally- and domestically-based clients, Joel serves as Managing Director to Legacy Wealth Management where he is responsible for providing a strategic vision to drive growth and innovation at the firm. He works to ensure that our services and associates continue to evolve to address the changing needs of our diverse local and international client base. Joel believes that a Wealth Advisor should be a lifelong trusted resource for each and every client. In addition to having a true passion for client service, Joel brings to his daily work over fifteen years of financial services experience in areas such as investment management, financial and retirement planning, and risk management. Joel began his financial services career with LPL Financial as a Jr. Portfolio Manager, having direct responsibilities and oversight for managing a portfolio in excess of US$300 million for private and institutional investors. He later joined a Fortune 50 corporation as Sales Director & Managing Principal, where he helped oversee sales activity for the region in addition to positioning the firm as a leading financial services institution in South Florida with strengths in the areas of wealth management, insurance planning, estate preservation, business planning for business owners, charitable giving, and pension transfers and rollovers. 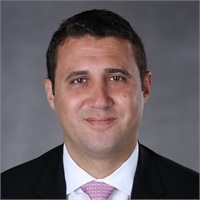 Joel moved on to become Head of Wealth Management for TotalBank (a wholly owned subsidiary of Banco Popular Español, S.A.) where as part of the bank’s Executive Management Team he was responsible for the bank’s Wealth Management operations in the United States and its affiliated offices throughout Latin America. Joel has achieved impressive credentials during his tenure in the financial services industry. He is licensed as a Registered Principal with LPL Financial, an Accredited Investment Fiduciary (AIF®), an Accredited Asset Management Specialist (AAMS®), and an Accredited Wealth Management Advisor (AWMA®). Joel also graduated from the American College with the following professional designations: Life Underwriting Training Fellow (LUTCF) and Financial Services Specialist (FSS). Joel obtained his undergraduate degree in International Business Management from Northwood University, with a focus on Banking and Finance; his master’s degree is from The Wayne Huizenga School of Business and Entrepreneurship at NOVA Southeastern University. Joel resides in Aventura, Florida, with his wife Ana, and two children, David and Sofia.